Everyday household tasks can use up a lot of time and energy. Spending all of our time doing menial chores drains us not only emotionally and mentally, but physically as well. This can prevent us from getting the exercise we need to be healthy and reach new fitness and weight loss goals. Thankfully, a new invention made by students in China will make you able to do chores and exercise at the same time while saving both your money and the environment. One of the most time-consuming chores that we all have to do is the dreaded task of washing our clothes. Not only do we have to wait around for the washing machine to finish doing its job (valuable time that we could be spending at the gym) but we also have to make sure to only use it during specific hours lest we risk spending a fortune on our electricity bills. This is a problem that students at Dalian Nationalities University in China aimed to fix when they designed the washing machine-stationary bike hybrid that they aptly named the “Bike Washing Machine”, or “BiWa” for short. 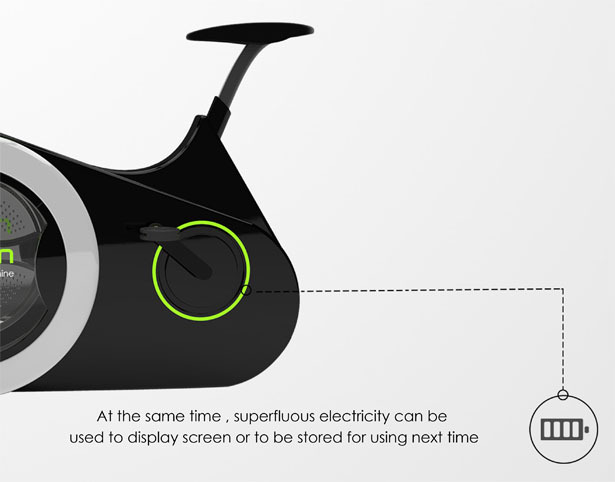 According to a description of the invention that the students posted on Tuvie, the bike acts both as a washing machine and a generator. 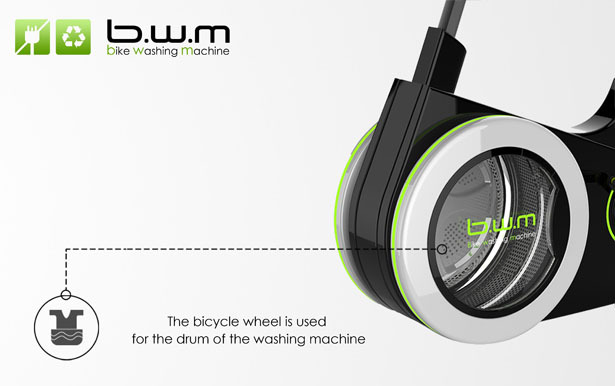 The front “wheel” of the bicycle acts as the drum for the washing machine. Clothes will be loaded into it in the same way that one would fill a front-loading washing machine. They will then be rotated at the equivalent speed of the person pedaling, creating the same circular motion that is used in typical washing machines. Any excess energy created by the person pedaling the bike is then used to power the display screen in the center of the handles. This will allow the person cycling to keep track of their progress. If there is even more extra energy left over it will then be conserved until the next time a person uses the bike. This unique invention will not only save people time and money, but it will also help the environment and encourage people to get in shape while making a weekly chore much more convenient. Although the Washing Machine Bike is not on the market yet, it is currently in it’s design phase and it provides a glimpse into the future of eco-friendly, efficient and health-promoting technology.